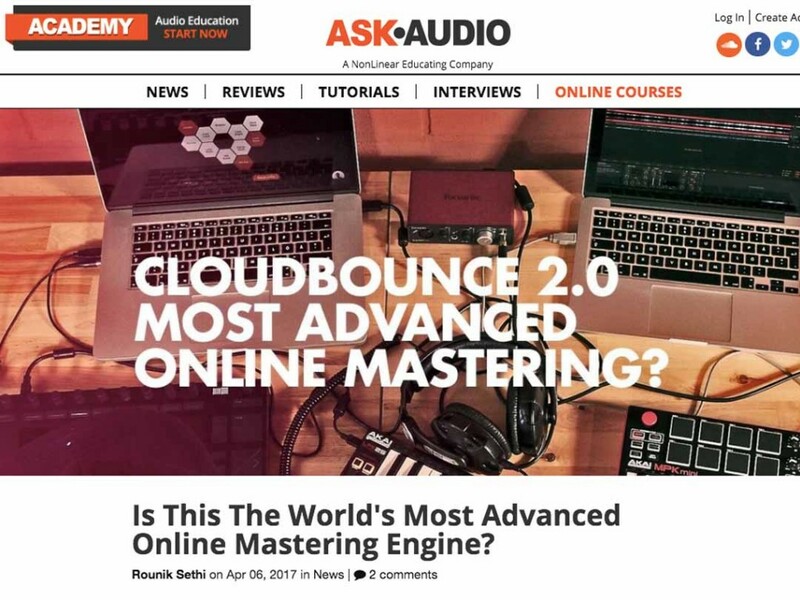 Based in Finland, Cloudbounce is a disruptive tech brand, making high-quality audio mastering available to all. 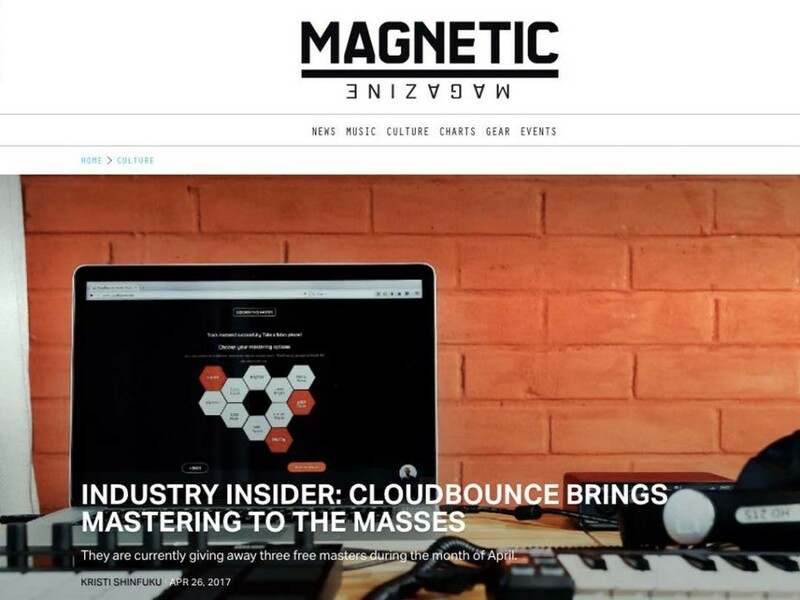 Cloudbounce chose Sliding Doors to launch their new mastering engine and to manage ongoing press. 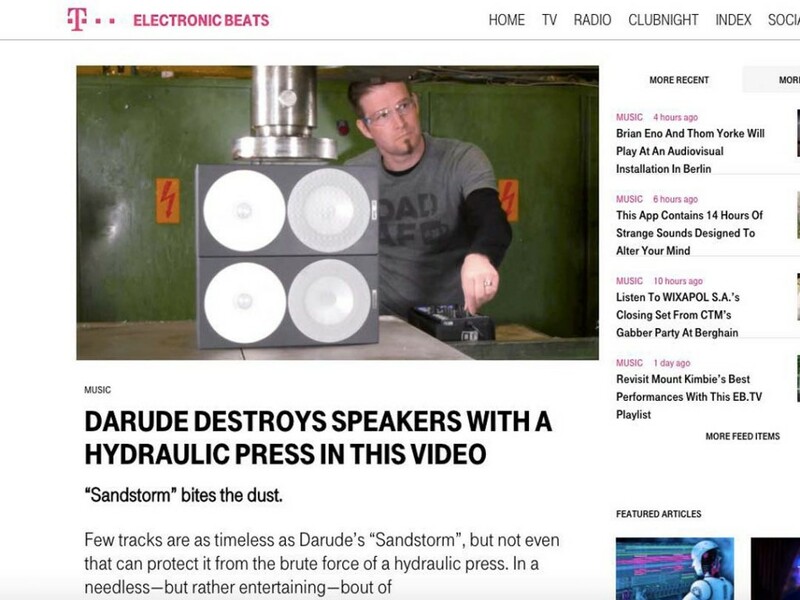 Sliding Doors’ brief was to plan and execute a successful launch, communicating the key messages to media and end consumers unfamiliar with the concept, as well as establishing the brand’s credentials to relevant pro audio/tech press. 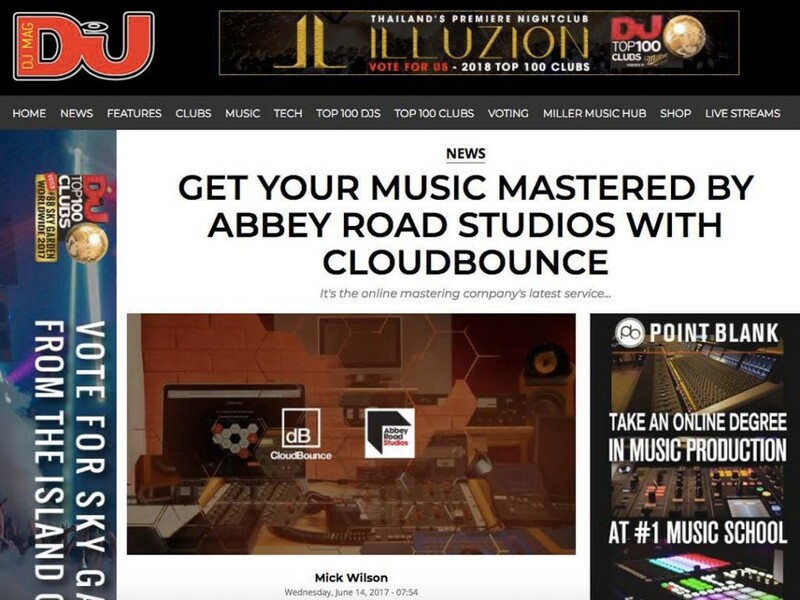 We also aimed to raise general awareness of the Cloudbounce online mastering platform and services. Sliding Doors developed a strong understanding of the services offered by Cloudbounce, its brand values and key messages, before launching a campaign to a carefully targeted list of media. We highlighted Cloudbounce’s mission to use new machine learning technology to revolutionise a traditional industry, using examples and technical detail. 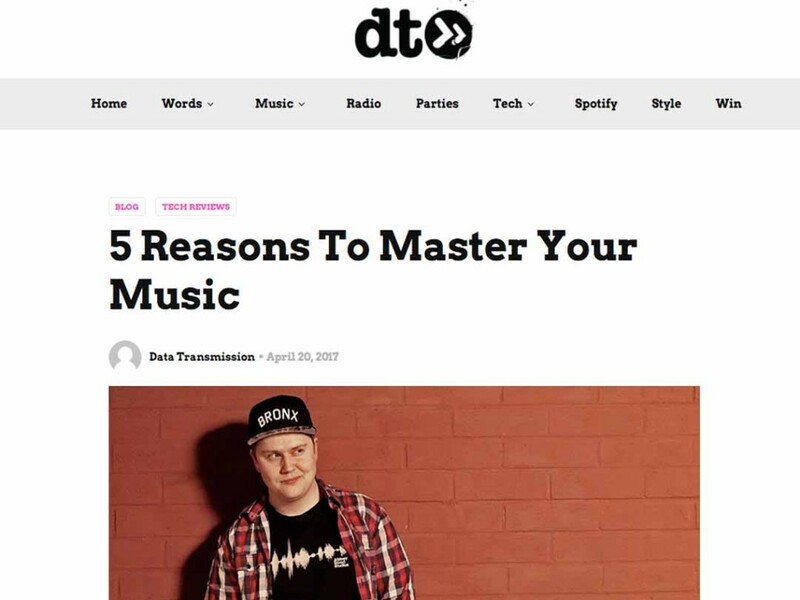 Ongoing individual pitches followed, to secure reviews and position Cloudbounce as cutting-edge and forward-thinking tech that can benefit all audio producers. Sliding Doors secured positive, high impact coverage across a number of key targets including globally influential online outlets. 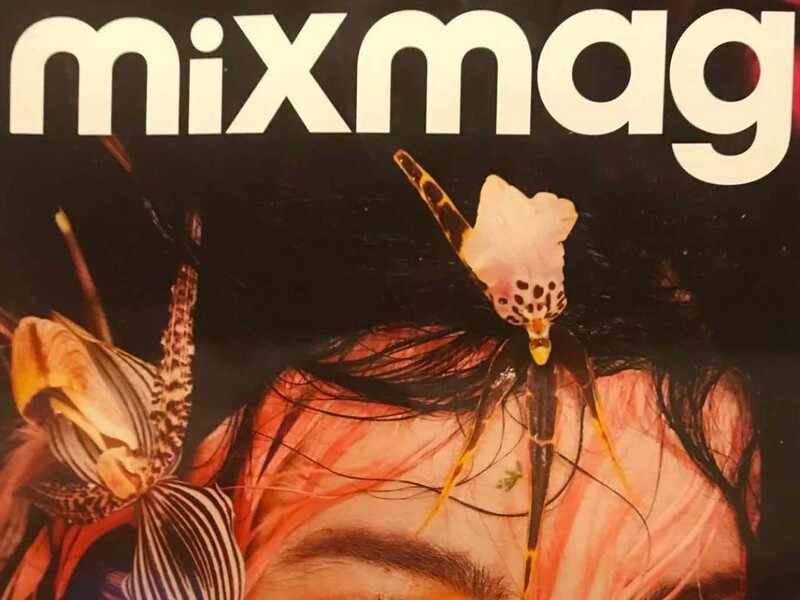 News and reviews ran in titles such as Resident Advisor, Ask Audio, Mixmag, DJ Mag, MI-Pro, AMI, Data Transmission and many others. 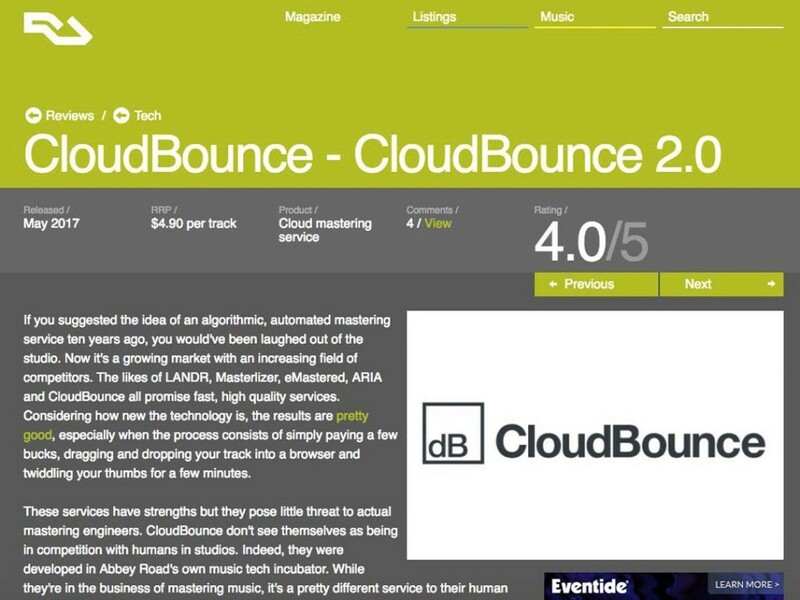 We secured an early positive review with Resident Advisor giving key credibility to the Cloudbounce platform. 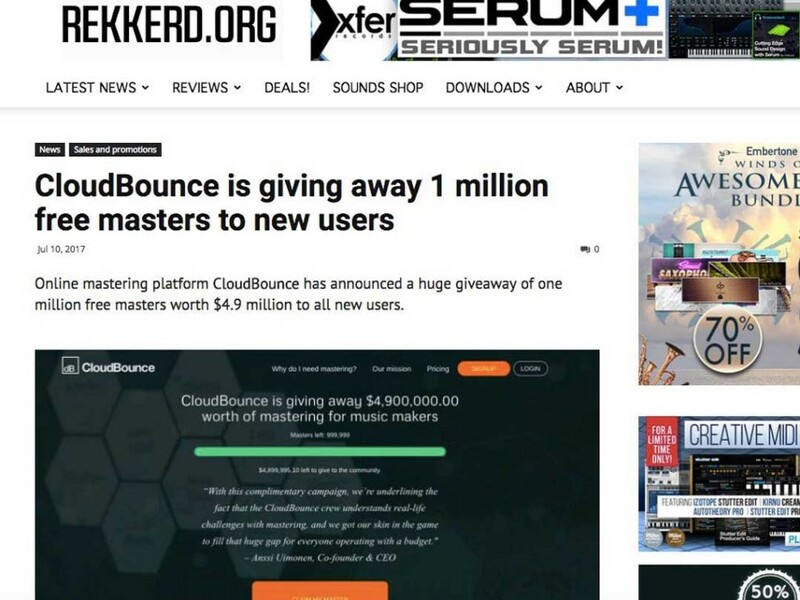 The campaign reached a huge international audience and the cumulative effect of the launch, subsequent newspieces, interviews and reviews, firmly established Cloudbounce as a leading name in this new market. All key messages were clearly communicated and Sliding Doors ensured that the target media had a positive experience when working with Cloudbounce.